A 24ft giant greyhound managed to turn heads in Swindon town centre after being driven in on the roof of a private stretch limo, much to the amazement of shoppers. The dog will be measured by the Guinness Book of World Records and will hopefully gain an entry. Competition open to 18s or over only. This promotion is open to residents of the UK, Channel Islands, Isle of Man and the republic of Ireland, excluding employees and their immediate families of Sheer Media Ltd, its agents and anyone professionally associated with it. Following a long and bitter battle since it was closed down, the famous Walthamstow Stadium dog track may have a last gasp chance to be saved. Since the last race was run in 2008, there has been a lot of controversy surrounding what was in store for the track, but the end of such acrimony may yet be in sight. 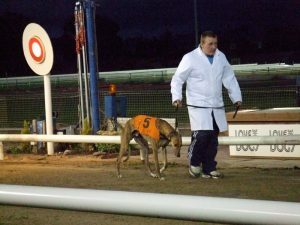 Dream Dogs recently spent a very enjoyable night of dog racing at Belle Vue Stadium in Manchester. Money was won, and shirts were lost. Our pet theory that the dog who went to the toilet just before a race was bound to win was both proved totally right and completely wrong, leaving us none the wiser. However, after the night’s racing had finished and the stadium was clearing out, there was a nagging doubt about the sport that remained. Like any professional athlete or footballer, a greyhound only has so long to enjoy its sporting career. 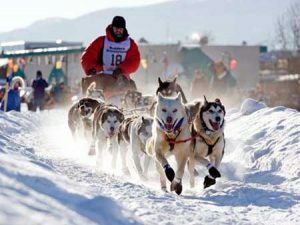 What happens to a dog when it is considered too old to race? A quick flick through the night’s racing guide yielded an advert for the Retired Greyhound Trust, so we decided to investigate. According to the British Greyhound Racing Board, the average racing career for a dog usually lasts until it is five years old. Occasionally it can last longer, but it can be cut short if the dog is injured. There are many conflicting stories about what happens to a dog when it retires. Some are unsavoury and claim that dogs are destroyed, but the BGRB states on its website that many owners keep the dog as a pet, and suggests that people who want to enter the sport need to plan for the dog’s post-racing future. Anyone who’s ever been to the dog track will know just how fast some greyhounds can be, especially when they’re chasing that little, furry, yet fake, hare. But what would happen if the greyhounds spotted a real hare during the race? Surely there would be chaos? Yes there would. That’s just what happened at a dog track in Australia this week when prize greyhound ‘Ginny Lou’ caught sight of a rather brave, yet stupid, hare that wandered on to the greyhound track just as the dogs were passing, chasing the fake hare. Ginny Lou was in third place at the time, and just about to make her move on the leaders, when spotted a rather tasty looking alternative hare bounce across in front of her. Naturally, she set off after it, abandoning the race in favour of what looked like a much tastier meal. Ginny Lou spies a real hare, and she's off! 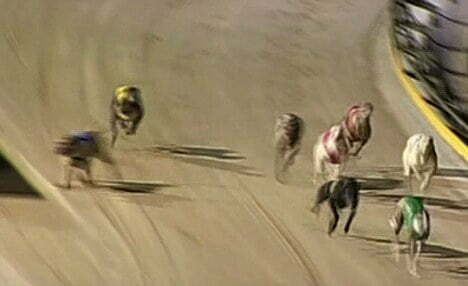 The dog track in question was a track in Shepperton, Victoria, and the race was the Finer Fruit Stakes. The owner of Ginny Lou, Scott Stefanos, commented that he: “didn’t know whether to laugh or cry” when his dog, with a chance of winning, fled the race to go after her supper. Luckily for Scott he didn’t lose out too badly as the race was declared null and void, and all bets (over £18,000 worth) were returned to punters. So what happened to the hare? There was no sign of it after the race – although Ginny Lou looked mighty pleased with herself. Watch the incident here from Australian TV. One of the country’s leading stud dog breeders, Pam Heasman, passed away this week at the age of 85. Pam used to be the secretary for the Greyhound Trainers’ Association and she was a noted trainer and breeder of greyhounds. She also kept many champion greyhound stud dogs. She died this week in a Kings Lynn hospital, aged 85. “a lovely lady who was totally dedicated to her greyhounds”. He said her passing was the end of an era.